Kevin Rose, the founder of Digg.com released an introduction video to the new Digg v4.0. A key point that he made in the video below is how the “old” or “current” Digg only features about 120-140 posts on the front page of Digg each day. But what about all of the other great content out there? 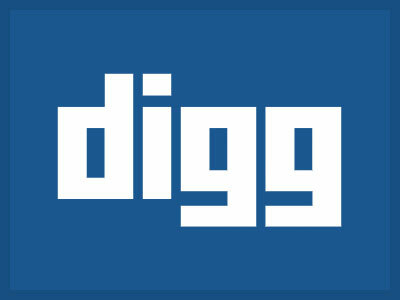 Now with the new Digg, more content will have the opportunity for better exposure across the Digg network. He also goes on to discuss all of the new features and functionality that allows users to create a twitter-like social network, where you can “Follow” more closely what your friends are Digging. 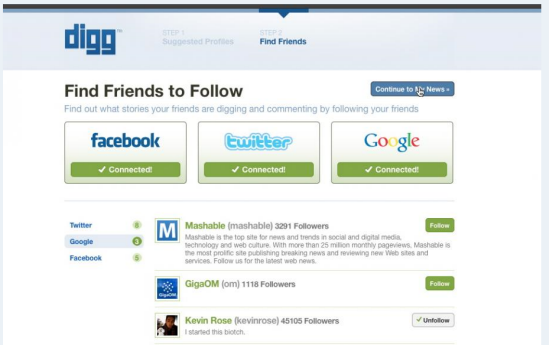 There are a number of social connect features which allow a Digg user to find friends on Facebook, Twitter, and Google who are already on Digg. Look similar to Twitter? That’s because it is…which isn’t a bad thing, since many people are already familiar with the “Follow” feature. 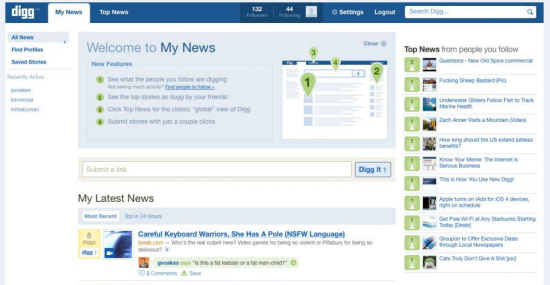 One of the great new features of Digg is not only the ability to connect to your other social profiles to find friends, but to easily find new people that have the same interests as you in the Digg community. See what the people you follow are digging Not seeing much activity? See the top stories as dugg by your friends! The new Digg homepage called “My News” is your customized Digg homepage which shows posts that were Dugg by the people you are following. The great thing is that all of the newest Diggs from your followers will show up at the top of your “My News” and if you Digg that post, all of YOUR followers will see that post. As you can see how content can spread like wild-fire (very similar to how ReTweets go viral). So I’m sure you are wondering what this means for you marketers. I who make the assumption that gaming the Digg system will not be as easy as it once was. 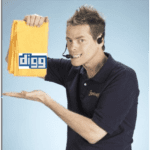 Now that Digg is becoming more personalize and relevant, driving traffic from Digg will have more to do with your network of friends than the number of Digg you can get. Just like any social network the more friends and followers you have, the better the chance you have of promoting your content. The new Digg sounds no different. Making friends, creating great content, and being social in the community will lead to more traffic.